Many thanks to the University of Kent and the Beacon Institute for inviting Alex Mermikides and Dr Gianna Bouchard to speak about Biomedical Performance and Science, along with Dr Simon Parry (University of Manchester). 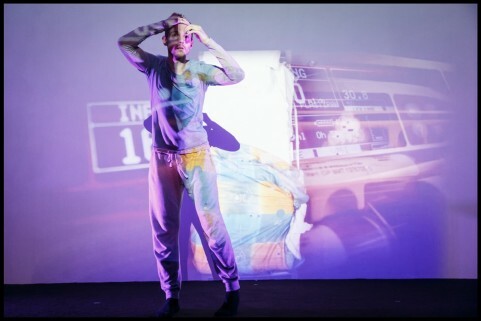 Gianna and Alex reflected on contemporary performance that engages with the medical in different ways and welcomed some interesting – and challenging – questions on affect, aesthetics, ethics – and Hollywood film. 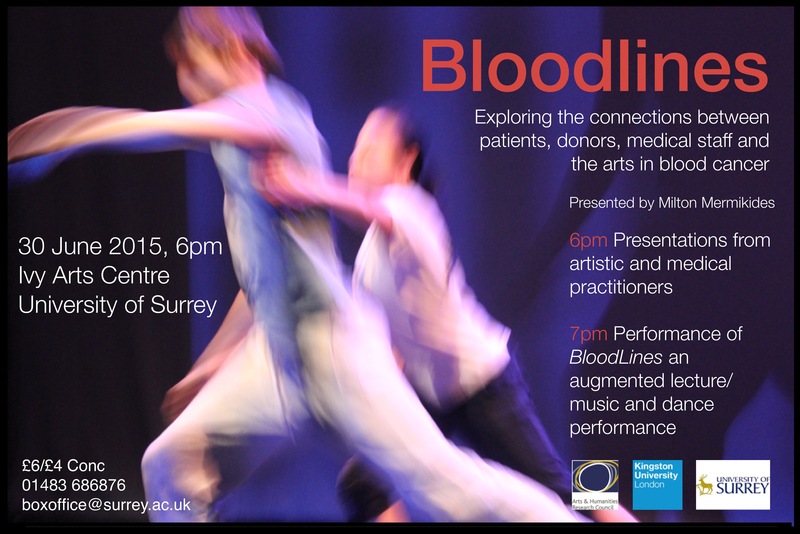 We were thrilled to perform bloodlines for 200 heamatology nurses at the BHS’s 30th annual conference. The response from these dedicated and thoughtful people was astounding. We also enjoyed the experience of creating a poster (a format that is fairly unfamiliar to those in arts disciplines) about audience responses to bloodlines. We perform an extract of ‘bloodlines’ at St George’s Hospital, which is hosting an information day on bone marrow transplant. Staff and patients welcome the opportunity of meeting people who have ‘been there’ and seem to find the duet moving.